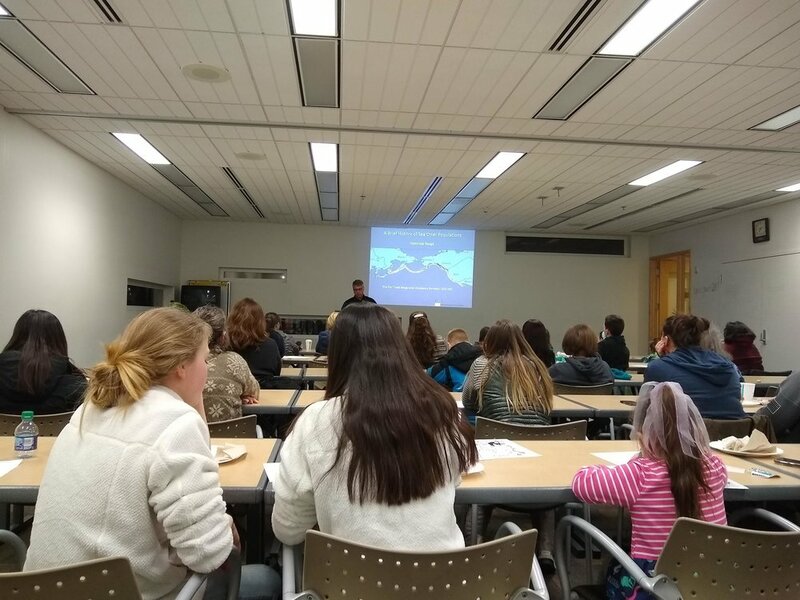 Learning about wildlife is the first step in protecting it, and at our free Wildlife Wednesday presentations you’re sure to learn something new! These free events start with a short presentation from a wildlife expert and are followed by a period of Q & A. Every Wednesday features a different wildlife topic, so there’s always something for everyone! 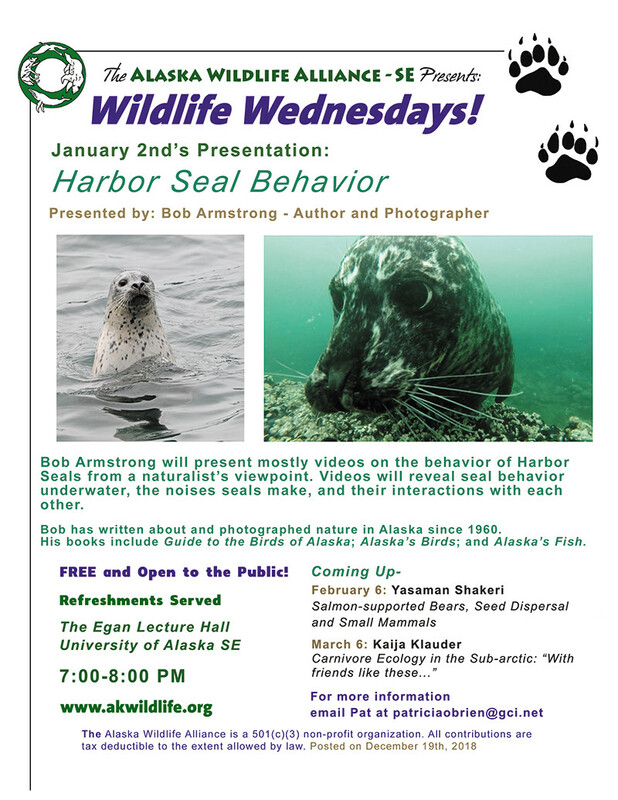 Currently, we host Wildlife Wednesdays in Anchorage and Juneau. 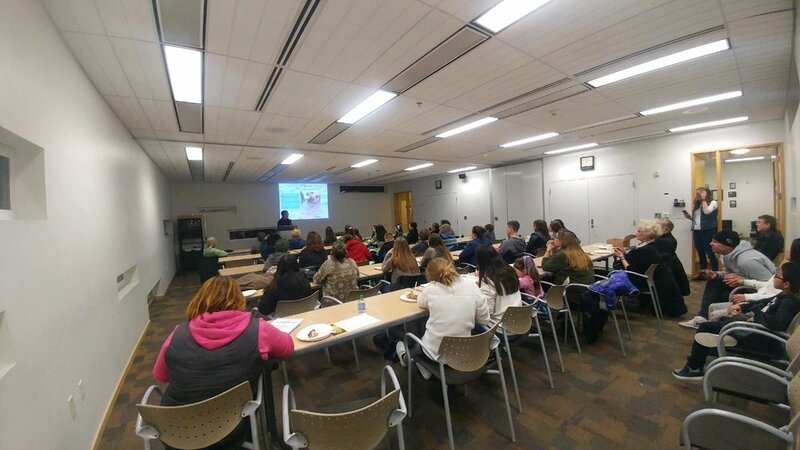 Anchorage: Third Wednesday of every month from 7pm to 8pm at the BP Energy Center, 1014 Energy Court, Anchorage, AK 99508. Free donuts are provided, courtesy of Dipper Donuts! 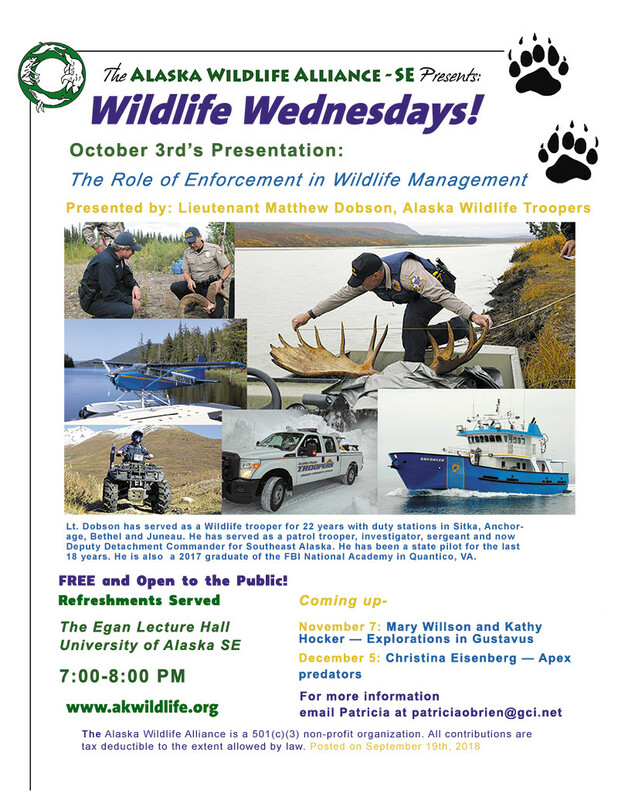 Juneau: First Wednesday of the winter months (October-March) from 7pm to 8 pm at the University of Alaska Southeast’s Egan Lecture Hall, 11066 Auke Lake Way, Juneau, AK 99801. Refreshments are provided! 7:00-8:00pm every third Wednesday of the month. Free donuts provided by Dipper Donuts, free drinks provided by BP Energy Center.